What’s the best snack after an intense workout? You'll find it in our café at American Family Fitness in Virginia Center Commons. There is nothing better than a refreshing snack or drink, especially at the gym. At American Family Fitness in Virginia Center Commons, we offer many products that encourage performance and recovery. 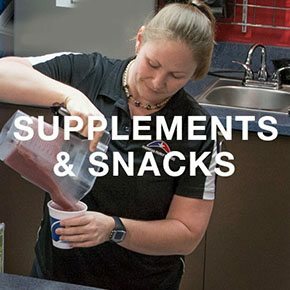 Our products include supplements, protein shakes, energy drinks and bars, and smoothies; and with our frequently requested shake of the month, there is more than enough to satisfy anyone’s cravings. At our gym in Glen Allen, our café stocks everything you need to reach those health and wellness goals, including snacks that are nutritious and delicious -- just what you need after an intense workout. Come see what we have to offer today. 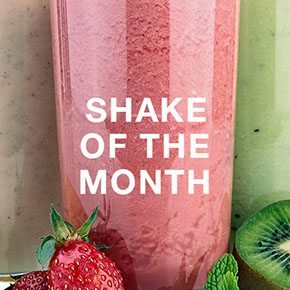 Every month, our Glen Allen health club unveils a new shake of the month. Designed to improve muscle recovery and performance, our featured shakes are refreshing and taste pretty good too. 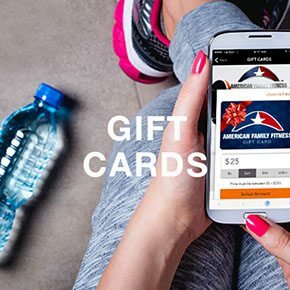 A gift card to American Family Fitness is the best gift of all. It shows your friends and family that you care about their health and wellness, and you’ll have someone to workout with too!